Anthony P. "Andy" Blalock, M.D. Dr. Andy Blalock is a partner of Acadiana Renal Physicians with offices in Opelousas and Lafayette. He is also the transplant nephrologist for the Louisiana State University Health Science Center at University Medical Center in Lafayette, where he is an Assistant Clinical Professor of Medicine He also serves a member of the National Kidney Foundation Kidney Learning System Editorial Board. 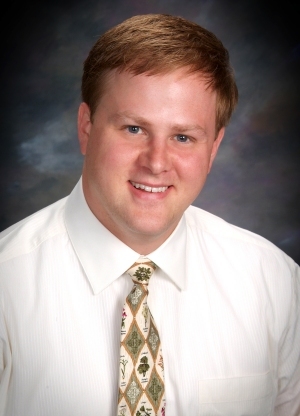 Dr. Blalock has a long record of involvement in both the academic and organized medical arenas. He is the Immediate-Past President of the Lafayette Parish Medical Society and the Southwest Louisiana Area Health Education Center, and currently serves as President/CEO of the Louisiana Emergency Medical Unit. He has served as an alternate delegate to the American Medical Association for the Louisiana State Medical Society and as a delegate to the Young Physicians Section. Additionally, he has served as a delegate to the Louisiana State Medical Society (LSMS) and the Young Physician member on the LSMS Board of Governors. Dr. Blalock serves as a Chair of the Board of Trustees of the Journal of the LSMS, and as Vice Chief Medical Staff and Chair of the Medicine Committee of the Opelousas General Hospital System. Dr Blalock is author and co-author of several presentations and publications in nephrology and hypertension, and is a national speaker at numerous conferences and meetings across the country.